​Because auto crashes are now the leading cause of teen deaths, every state has enacted Graduated Driver Licensing laws that allow teen driving privileges in three gradual steps. According to data from the National Highway Traffic Safety Administration (NHTSA), teenaged drivers are involved in three times as many fatal crashes as all other drivers. The situation is so bad that automobile crashes are now the leading cause of death for American teens. It is thought that teen driver inexperience, along with immaturity, can often result in risk-taking behaviors like speeding, alcohol use and not wearing a seat belt, all factors that can contribute to an increased death rate. The statistics are not good, and the high risk of teenagers being involved in car accidents only gets worse when other factors like distracting peers and cell phones are mixed into the equation. In order to address the risks and attempt to reduce the number of fatal teen crashes, every state in the nation has enacted Graduated Driver Licensing (GDL) laws that phase in a teen’s driving privileges gradually in three steps. The NHTSA agrees that a good GDL program will include steps to allow young teen drivers to safely gain some real driving experience before they obtain full driving privileges. There has been plenty of research showing that there has been significant reductions in the number of deaths that were associated with graduated licensing laws that included age requirements, a waiting period of at least three months before the intermediate stage, a restriction on nighttime driving, 30 or more hours of supervised driving and a restriction on carrying passengers or the number and age of passengers carried. 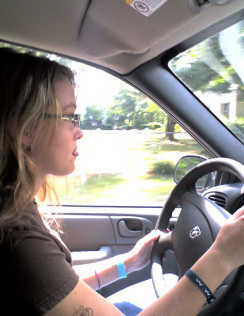 30-50 hours of parent-certified supervised driving practice as well. The Intermediate Stage is usually viewed as the most critical phase of teen driver training and many states now require the Intermediate stage to last until age 18 and include nighttime driving restrictions that start at 9:00 or 10:00 p.m., no more than one teen passenger in the car at one time, and a total ban on the use of cell phones and other types of electronic communication devices. A few states even require drivers less than 21 years of age to display decals on their vehicles that identify them as new drivers. To view a complete listing of every state’s current teen driver graduated licensing laws, license restrictions and related requirements, visit the Governors Highway Safety Association website at ghsa.org and click on the Graduated Driver Licensing (GDL) Laws.